Let’s talk about loos. Internal plumbing. Ventilation systems. Running water. Double-glazed windows and all the other things that make where we live helpful to our health. If you’ve ever found yourself with a household emergency, a bust boiler two days before Christmas or a hole in the ceiling ten mins before a thunderstorm, you’ll know that it’s oh so easy to take a functioning home for granted until the moment it stops working. But we should probably spend a little bit longer praising things like the humble household bog. Because, as the Wellcome Collection’s new show makes clear, sanitary living conditions aren’t a luxury we’ve had all that long. Spread across two floors, the exhibition starts with the horrors of the Victorian slums, as told through cholera maps and the writing of Charles Dickens, dedicated chronicler of the nineteenth-century poor. It then moves on to Modernist attempts at revolutionising housing with tower blocks, plus newfangled garden cities and model villages. It’s a tick list of famous social reformer and architect names: Goldfinger, Cadbury, Le Corbusier – even Henry Wellcome (original owner of this very collection) had a go at designing a new way of living with the never-realised Wellcomeville. After homes, it switches to hospitals, again showing how scarily recent medical care of the standard we’re used to is. There’s a giant scale model of a hospital, a painstakingly detailed creation that’s basically a very fancy dolls’ house, but with more operating suites. In the gallery upstairs is a mobile clinic commissioned specifically for this show (after which it will be taken to a location where it is needed) and designed in collaboration with the charity Doctors of the World. It’s an impressively weird structure, like a giant flat-pack wooden dinosaur. As a whole, the ideas behind ‘Living with Buildings’ are fascinating. But like the Modernist dream of social housing, the reality doesn’t quite live up to the theory. Too many of the glass cabinets are filled with books, letters, pamphlets and plans, plans, plans, which doesn’t always make for the most interesting, or easy-to-view display. But don’t be dissuaded from visiting. It’s a massive geek-fest, yes, but it’s one that will leave you with a new appreciation for the world around us – including the toilet block. This exhibition is on the staid side. Most of the examples are from the UK, often from the same time period, and the curators have missed an opportunity to challenge visitors with new information or a broadened perspective. Of course it's interesting--Wellcome Collection exhibitions are always interesting--but it could have been more. It's an interesting exhibition, charting our relationships past and present with the buildings we visit, live, and work and in, though I felt it was missing something. It has a high standard to live up to as the permanent exhibitions of the Welcome Collection are so good. You do however have the benefit that you can do both, and they are all free so the Welcome Trust is a building which is definitely worth a visit! This new exhibition at the wonderful Wellcome Collection explores our relationship with the buildings we live, work, and receive medical care in. It examines how the squalour in the Victorian slums was improved over time with greater access to light, better air flow, outdoor areas, such as parks and recreational spaces, in order to improve wellbeing. The highlights for me were the scale model of an 'ideal' hospital, whose bed sheets were made from Royal handkerchiefs, the wonderful Parisian flat complex with a different story in every flat window, and the flat pack medical centre for us in hard to reach remote places. This is certainly an interesting exhibition and given the level of detail on offer, well worth more than one visit. That will also allow you time to visit the permanent exhibitions at the Wellcome Collection, visit the cafe or restaurant, and to spend more money than you meant to in the wonderful shop. This exhibition was uber interesting, exploring the relationship between our environment and our well-being. As other reviewers have mentioned, taking a guiding tour impossibly the best way to get to know all the best details and info about this exhibition. Shame it's so small and only scratches the surface of this broad topic! I didn't know what to expect before going to this exhibition and I left quite...meh. The topic is indeed interesting, how the architecture and design of the places we live in and the surrounding environments affect our well-being both physically and mentally; something that I was thinking about a few days before I even came across this exhibition. As some others here have commented, a tour is highly recommended to learn more in depth. Charles Booth's maps in particular were interesting, streets in different boroughs coloured according to the poverty or wealth of their residents. The Grenfell Tower section at the end was heartbreaking as it includes a blog post from months before warning the authorities of its potential risks. Overall, it was an informative exhibition and our guide was very knowledgeable and engaging. Having walked past this building on men occasions and not realising the hidden treasure inside, I was honoured to have a private viewing of this great space. Set over two floors of gallery space, you get to take an in-depth look at all things Heath and medical related. A historical treasure trove of painting, figurines, containers, implements and interactive media. From the downright creepy sculptures to reflective video installations that will take you back to your very own childhood. The current exhibition living with buildings is fascinating and educational, a definite must see, especially for its model hospital, photography and video installations. Despite being the Wellcome Collection’s first exhibition to stretch over two floors, Living with Buildings feels a little... sparse. There’s plenty to see here if you look hard enough, but a guided tour is certainly recommended. Illegible old maps kept behind glass come to life when it’s explained that they showed a rather elitist assessment of which boroughs were deemed to host the capital’s richest and poorest inhabitants, and a giant picture of a brutalist Parisian block of flats takes on new meaning when you understand the stories behind it. Most memorable is the, albeit rather small, tribute to the Grenfell Tower. A printed blog post written months before the tragedy that forewarned of its inadequate safety standards is as arresting as it is heartbreaking. A good exhibition about buildings if that’s your sort of thing, but those with only a casual interest in architecture won’t be missing out. I wasn’t too sure what to expect from this exhibit having never visited the Welcome Collective but was pleasantly surprised and found the exhibition very informative. Arriving to a breakfast spread, of pastries, fresh fruit and sweet treats, our tour guide later guided us through the Living with Building display rooms which gave a detailed account of how building have been used and designed with health in mind. I did find the exhibition hard to follow as we jumped around from countries, cities and decades but the resources and displays available, including detailed maps of London’s past poverty, were fascinating. The show is quite small so doesn’t take long to flick around. The Wellcome Collection is a place you must visit in London for the building and permanent collection alone. Full of curiosity objects - Napoleon's pipe, anyone? - it is now showing this very interesting exhibition that walks you through the relationship between people, health and buildings. It helps to get your head around how London overcame sanitation problems, as well as investigates how hospitals have been thought of throughout the years. A good pause for reflection, would recommend as a good package for an afternoon of culture. The ground floor exhibits focus on the history of healthy buildings (or lack of). Fascinating but felt very sad too. It is extremely interesting for those involved with designing buildings for habitation or health and there is plenty of content to study, including the development of the garden towns and an amazing facility in the Netherlands. However, despite the upper floor focusing on a positive solution for healthcare in the field, the overall sense is that there is still much to be done to improve living conditions and health facilities. Well worth a visit as it is very thought-provoking. This new exhibit centers around the relationship of architecture and buildings, with the health of the population within. It's well curated and focused on different eras and parts of the world, and reflects on how town planning, housing and architecture can work for the people living in it. From Charles Booth's groundbreaking survey mapping the degree of poverty in London in the 19th century, to the innovative yet functional design of Finnish sanatoriums to treat patients with tuberculosis, the exhibition aims to be wide in scope. But with a guided tour, it brings these stories to life, and ties the different sections together. The new exhibit from the Wellcome Collection was an interesting take on the relationship between living conditions and health. From the early 19th century all the way to present day and future applications for startups in the health space. It touches on not just london but into other countries like France and Finland and how design can actually be a large determinant to health. From lighting, air flow, nature, community feels. Very reminiscent of the architectural episode of the Netflix design series. Takes a good hour or two to go through and read everything/watch all the videos across both galleries. Perfect for a cold/wet day. 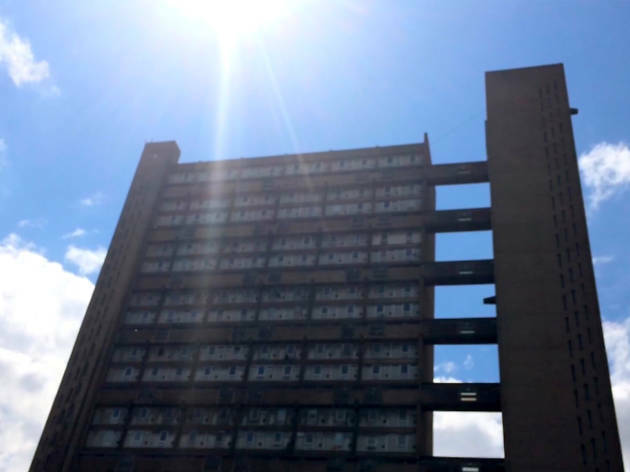 Partly inspired by the Grenfell Tower tragedy, the new exhibition at the Wellcome Collection looks at the impact of the architecture of (mainly) social housing on its occupants. From Dickens stories of appalling living conditions in the nineteenth century overpopulated London to moving stories of tenants of iconic London estates, it raises a lot of questions about the relationship between the living environment on people health and well being. It also takes a closer look at the development of utopian housing projects and their often disgraceful fall. 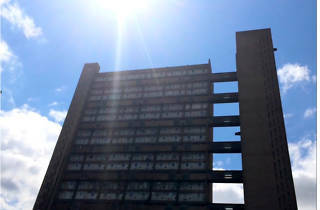 The exhibition is accompanied by greatly informative guided walk in the local area of Somers Town, centrally located but little known part of London, mainly populated by housing estates. It's Fascinating bit of history, I really recommend.